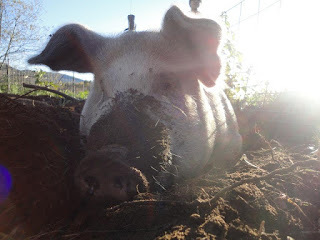 I just heard this GREAT piece on NHPR about happy pigs and some philosophy on killing animals... This time of year is tough for farmers and conscious eaters, alike. I really like the sentiment shared in the piece.